God blesses those who mourn, for they will be comforted,~Matthew 5:4. And I will pray the Father, and he shall give you another Comforter, that he may abide with you for ever;~John 14:16. 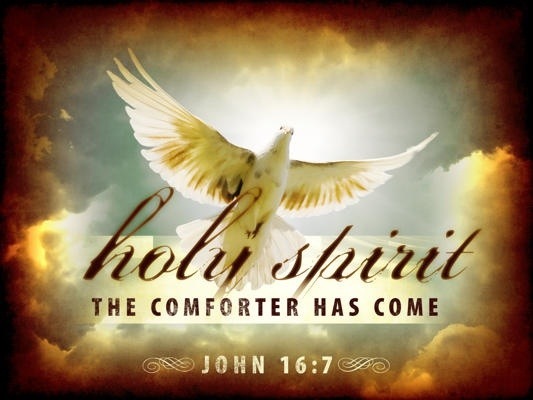 The Holy Spirit is our Comforter. It’s one of the most beautiful attributes of His character. He fulfills this role so well. One of the beautiful things about a relationship with God is knowing He promises to meet every need, including our need to be comforted. He’s not distant, cold, unfeeling, or without concern for the things that concern us. What matters to us, touches His heart. He bottles our tears. You keep track of all my sorrows. You have collected all my tears in your bottle. You have recorded each one in your book,~Psalm 56:8. God is emotional. He’s emotional about you. I had an adult I respected tell me when I was a young adult, “God isn’t moved by your tears, He’s moved by your faith.” During that period of my life, I cried quite a bit. Being a preteen was challenging for many reasons. This adult taught me not to feel. I got to a point I couldn’t cry. I felt happy or angry. Nothing else. I learned to be very tough. It wasn’t until I hit my twenties that I could cry. I just didn’t feel sorrow. During that time my mum died. I’ve never cried more in my life. During that time, waves of worship would invade my heart. I would just worship for hours. God brought a deep comfort I cannot explain. Though I had friends and family, none of them could reach the places God could. When everyone else went back to life, God was there 24/7. What is troubling or grieving you this week? Ask the Holy Spirit to reveal His comfort. Surrender every burden to Him. You may cry! He’s not offended or put off by your tears. God is able my friends to sustain you through the most horrific pain. He’s strong enough! I promise He’s strong enough. Lastly I will say, God promises to turn your mourning into dancing. 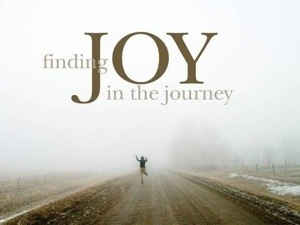 He promises to give you joy for pain and sorrow!!! I can say with 100% confidence He keeps His promises. After spending many years suffering-I have overwhelming joy. I wake up some days dancing! I enjoy God. I enjoy being with Him. I enjoy knowing Him. He’s my Lord. He’s also my closest friend. My friends, I’m praying God floods you with comfort and joy! No matter what you face, God is able. Your Comforter will never leave or forsake you. There are so many wonderful things I could say about the Holy Spirit. Tonight I wanted to share more testimonies that will hopefully fuel your faith. I gave my life to Jesus when I was 7 years old. My parents are pastors. So, I grew up hearing about Jesus and watching them live like Jesus. I saw them open our home to the poor, widows, orphans, and even those who had done horrible things to them. I watched my parents love the man who murdered their oldest son and never served a day in jail for the crime. I didn’t know at the time that their love was a display of one the Holy Spirit’s greatest works-agape love. My first realization of His work in my life came on Easter when I was 7. I was watching the Easter movie about Jesus. When it came time for Him to go to the cross, I recall being overwhelmed with sorrow and love. I wept. This man gave His life to save mine. The Holy Spirit was so at work that day! I didn’t want to live another day without Him! Like many Christians I thought God only spoke to special people, like pastors. 😉 Yet, there was this hunger in me for Him that couldn’t be quenched. There were so many things I couldn’t understand, like walking in a place and being able to know if it was good or bad. My mom said I had an uncanny knack of knowing spiritual atmospheres. Later learned it is the gift of discerning spirits. It wasn’t until college I begin to hear God speak to me. A still voice would bring scriptures to mind, line by line. I had to look them up because my memory was never excellent at memorizing scripture. I began to journal, date, and log those versus. I still have some of those journals. He moved from speaking scripture to providing wisdom, and insight. I keep a journal with me at all times to document what He’s speaking. One night at a Sunday night worship gathering I was caught up in worship (meaning really into it). I was joyful, excited, and happy. At one point sorrow hit me so profound I felt as if I wanted to die. This was so strange. I began to cry big crocodile tears. I excused myself to the restroom. I begin to pray. I didn’t know what else to do. After awhile the grief lifted. Days later I was talking to a friend and she confessed she was going to take her own life. She said Sunday night she had it all planned. A light bulb went off for me. I asked what time? She said that evening. It was the exact time I was hit with grief. She said something like a wave of God’s love hit her and she couldn’t go through with it. I told you last post about being trapped in my car under water. Well, after that incident, I had awful panic attacks in enclosed spaces. Mainly in my car. I would have to get out of the situation as quickly as possible, or otherwise be overcome with fear. I went to my pastor at the time for prayer. He wanted me to go to counseling. I’m not against counseling. I’m pro take it to God first. I left church discouraged. I drove around worshipping and talking to God. I told The Lord , “I never want to feel this way again. I know You can fix this.” It was in a moment that I felt extreme warmth surge through my body. Fear was gone. I didn’t have anyone pray for me or lay hands on me. God did a complete work in one minute. He did the same thing for my heart. Years before that awful car accident, I had a bad reaction to medication during a routine surgery and almost died. The outcome was a healthy teenager came out on heart meds and seeing specialists. I told God I knew He healed. Jesus paid for healing. I’m happy to say my heart is healthy!!!! This happened with me and God. One moment changed my life, one act of faith. There are people who travel all over to see miracle workers or “super” spiritual people. The Miracle Worker is God alone. The Spirit of God is in every born again believer. He doesn’t come in percentages and is fully God. There are so many breakthroughs that can happen with just you and God. I’m an ordinary person who has suffered quite a bit and seen God bring miracle after miracle! I’m thankful for every person who refused to help or could not help because it’s taught me to rely fully on God. Yes, we need people too. God is everything. He is my everything. 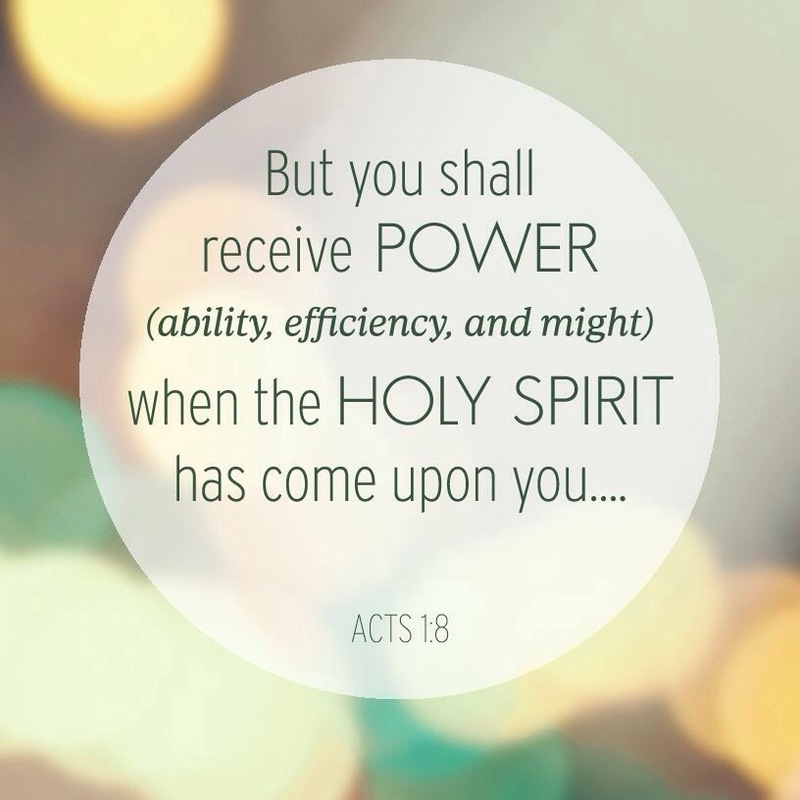 The Holy Spirit is all powerful. So, I encourage you to fan the flame of your love for God! Get into the secret place with Him. Get to know Him for yourself. Know the Author of the Book (the Bible). Encounter Him. Let Him encounter you! Greater is He who is in you than in the entire world!~1 John 4:4. Watch out for false prophets. They come to you in sheep’s clothing, but inwardly they are ferocious wolves, by their fruit you will recognize them. Do people pick grapes from thornbushes, or figs from thistles?~Matthew 7:15-16. This is part 6 in the series. Funny because 6 is the number of man. Human beings are incomplete without God. Seven (7) is the number for perfection. This post isn’t about numbers. It’s about how there are people who don’t believe God speaks, performs miracles, or the gifts of the Spirit are at work today due to the abuse they’ve seen or lack of evidence they’ve seen or simply because of unbelief. 1. False prophets, those abusing the gifts, and counterfeit gifts. A. The Bible tells us there will be people who can do miraculous things that would not be of God. Just read the book of Revelation (the antiChrist will be able to perform miracles) or how the magicians and sorcerers mimicked the miracles God performed through Moses (they could not do them all-but they could do some). The Bible tells us to be alert, not dismiss the power of God. God has not ceased being powerful because we don’t think He is. God said, “You will know if someone is representing me by their fruit.” What is being manifest in their lives. Is it pointing to Jesus? Is it glorifying God? Is it fueled by Godly love and compassion? Is it drawing people into closer fellowship with God? Or is it drawing people away from God and to worship someone other than Jesus? There is one Savior. Only God is worthy of worship. We don’t worship the gifts or the people He uses, we worship God alone. No one counterfeits what’s fake or not valuable. We have companies that make tons of money selling fake diamonds, fake Rolex watches, fake Gucci and Coach bags, etc…why? Because the original has tremendous value or worth. God is Spirit. He is the Creator of all things. The devil can’t be God; he can try to imitate him. God is all powerful. The devil is not. God gave His Spirit to partakers of salvation so we could live as Jesus lived: submitted and empowered. Just look at the movies. Many are focused focused on the spirit realm-something many churches ignore or shy away from. As the Body of Christ, we serve and are empowered by a Superior Kingdom. Darkness is not more powerful than Light. Jesus is the Light of the world and His Spirit lives in every born again believer. B. Even Jesus was impacted by the lack of faith of the people around Him. Unbelief is the greatest sin because without faith it is impossible to please God (Hebrews 11:6). I’m almost convinced we don’t see the power of God as fully because we don’t believe or we are relying on ourselves. When Jesus had finished these parables, he moved on from there. Coming to his hometown, he began teaching the people in their synagogue, and they were amazed. “Where did this man get this wisdom and these miraculous powers?” they asked. “Isn’t this the carpenter’s son? Isn’t his mother’s name Mary, and aren’t his brothers James, Joseph, Simon and Judas? Aren’t all his sisters with us? Where then did this man get all these things?” And they took offense at him. But Jesus said to them, “A prophet is not without honor except in his own town and in his own home.” And he did not do many miracles there because of their unbelief,~Matthew 13: 53-58. There are many unbelieving Christians. It’s acceptable to believe God can save someone from eternal damnation and raise them from the dead for eternal life (a miracle), yet for some to believe that same God will speak to them, heal the sick through them, or do great and mighty things is not acceptable. God has not changed. We may not ever see a parting of a sea like Moses did, but that doesn’t mean God can’t. And then again we don’t know what God will do. He’s not limited to our expectations. He’s God. He can do what He wants. Jesus was moved by compassion and love to heal the sick, share the Gospel, and speak for the Father. The purpose of the gifts of the Spirit is to bless people. My dad keeps a book of all the miracles he’s seen in his life: cancers healed, deformed children healed, brain deformities healed, miraculous provision, blind eyes opened, reproductive problems healed, even God raising his son from the dead. My own life has been blessed by the miracle working power of God. I wouldn’t be alive today if it weren’t for God. Doctors told my mom she would never have kids due to cancer. My birth was traumatic, I could have died. I’ve had multiple issues God has completely healed me of. He’s saved my life so many times. The most profound was being trapped in a car under water and I couldn’t get out. 911 never came. My last phone call was to my mom and she said, “We are going to pray.” The engine had already flooded. The pressure of the water outside and inside making it impossible to open the door. I told her, “It’s no use, I’m going to die. I just called to say goodbye.” She prayed. She said, “Try the engine again!” I needed to get the window down, since the doors would not open. I had already tried. But I tried one more time. The engine turned over for roughly 60 seconds and I was able to get out. That’s no fluke. That’s a miracle. Once your engine floods and stalls, that’s it. So sweet friends, believe God can do anything! Pick up your Bible and read all the things He has done. Think about salvation and the resurrection! Repent for unbelief. 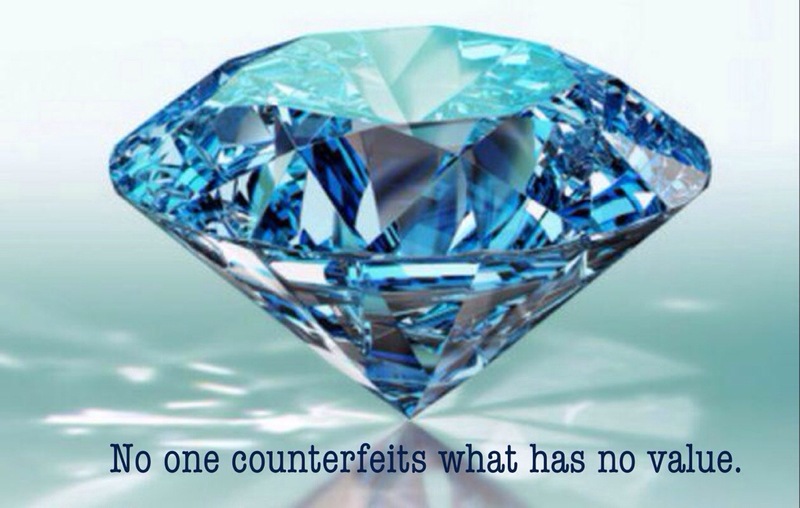 And remember, no one counterfeits what is fake or has no value. The Holy Spirit is the real deal. He is fully God and all powerful. If you’re a born again believer, He’s living in you. You are empowered!